Succession management is always an emotive matter. After all, the future of your life's work or even a family tradition built up over several generations is at stake. All entrepreneurs shape their companies in their own way. Every family has its own structures and ties. In many cases, entrepreneurs not only want the company and its often long-standing workforce to be preserved after the handover, but also their personal values to be upheld. 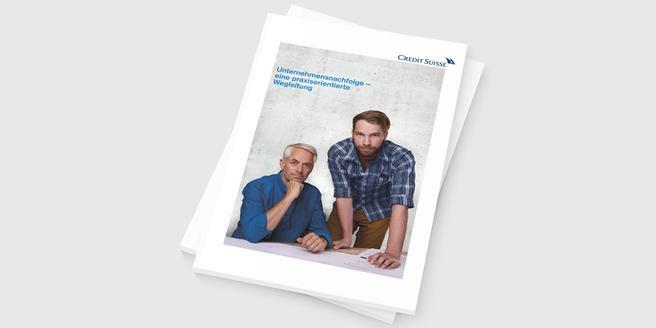 A practical guide: In this dossier, learn more about the Credit Suisse approach.